This is a square Big Ben Davis porcelain sign. This particular Big Ben Davis sign features a black gorilla against a maroon background with black and white text. 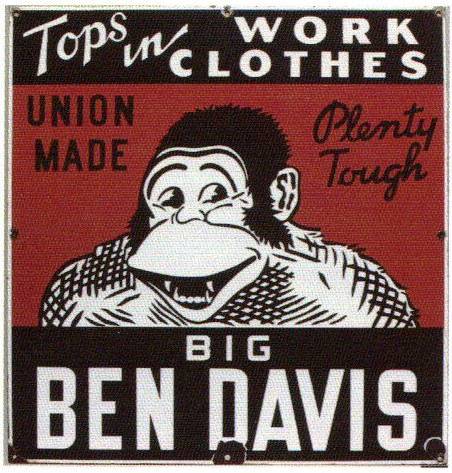 It reads, “Tops in Work Clothes, Union Made, Plenty Tough, Big Ben Davis”.